Snoring can be caused by many reasons, including sleep posture, sinus problems, common cold, gaining weight, habits like smoking and alcohol drinking and even physical attributes like cleft palate and enlarged adenoids. It is, therefore, cautioned against self-treating with over-the-counter pills and sprays. That said, however, there are lifestyle changes and natural solutions you can use to stop frequent snoring. It is estimated that about 45% of normal adults snore – at least occasionally. You may be a source of the family jokes due to your frequent snoring, but you can take solace in the fact that snoring actually is common in society. Nonetheless, if you want to stop snoring, these 6 tips can help you. Sleeping on your back causes the soft palate and tongue to collapse to the back wall of your throat, which can cause snoring. Sleep on your side to prevent your soft tissues and tongue dropping back and obstructing your airway. Sleeping pills, sedatives and alcohol stimulate muscles, including the muscles in the throat. This stimulation prevents the back of your throat from relaxing during sleep, leading to snoring. This is a common reason people who normally don’t snore do so after drinking alcohol. Poor sleeping habits can have a drastic effect on snoring similar to drinking alcohol. If you work long hours without sleep or stay up too late in to the night, you will probably hit the sack and sleep deep and hard. As a result, your muscles will be floppier than usual, resulting in snoring. 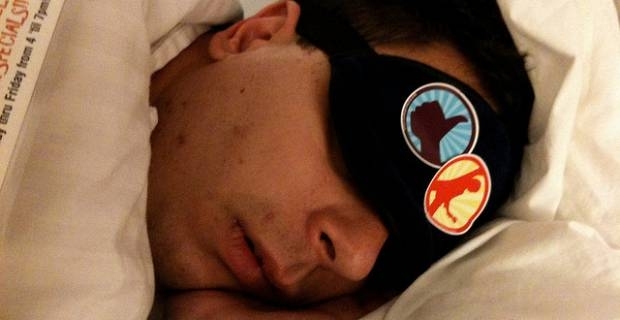 Create a regular sleeping ritual that afford you enough sleep and stick to it to prevent snoring. Keep your nasal passage open to allow air to move through your system freer and slower. Consider water running through a garden hose: The narrower the hose, the faster the water passes through and vice versa. In the same way, an open nasal will allow air to flow easily and prevent snoring. Weight gain can cause the internal throat diameter around the neck to narrow, triggering snoring. If you notice you have started to snore and you did not snore before, probably you have gained some weight. Consider working out to lose the weight. Keep in mind, however, that thin people snore too. Weight loss might or might not help. If snoring continues despite applying these tips on how to stop snoring, probably obstructive sleep apnea is the reason behind your snoring problem. In this case, see a doctor at your earliest convenience.